Who are the Parliamentary Private Secretaries? | Who Runs Britain? Who are the Parliamentary Private Secretaries? I have written before about Parliamentary Private Secretaries. In 2013 I observed that these unpaid Ministerial aides have perhaps the least glamorous job in parliament. Theirs’ is also perhaps the most elusive job in parliament. Parliamentary Private Secretaries are expected to support the Government in divisions in the House. No Parliamentary Private Secretary who votes against the Government can retain his or her position. The role of PPSs in padding out the payroll vote is not based solely on their expected loyalty but also on the fact that there has been a gradual but significant increase in their number. From only a handful of PPSs at the beginning of the last century, since the mid-1990s there have been more than 40, around one PPS for every two Ministers in the House of Commons, or about one third of the payroll vote. In recognition of this, a number of inquiries have recommended limiting the number of Parliamentary Private Secretaries. 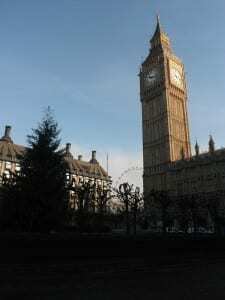 In 2000, the Conservative Party’s Commission to Strengthen Parliament, criticised ‘the emergence of the “extended government”‘ and recommended a reduction in the number of Ministers and a cap on the number of PPSs. More recently, the Public Administration select committee recommended that the number be limited to one for each government department. Moreover, because these are not ministerial posts and don’t carry a salary, they also present a fairly unobtrusive way of expanding the payroll vote. While a complete list of ministerial posts, including unpaid ones, is published annually, governments have generally been somewhat tardy in providing information about which MPs are Parliamentary Private Secretaries. The view of successive governments appears to have been that, as these are posts which do not carry any ministerial responsibilities and which do not incur any public expenditure, appointments are largely a matter between a Minister and his or her PPS. Interestingly, in the run-up to the 2010 general election the Conservative Party promised to make politics more transparent, making it easier for the public to access government data, particularly in relation to appointments. They also promised to reduce the size of the government by cutting the number of Ministers. Although the latter did not happen, the government did begin to make available, information about appointments which had, in the past, been quite difficult to find. In June 2010 the Coalition government published a full list of special advisers and their salaries – a dataset which has been updated on an annual basis. In November 2010, the Coalition government also published a list of Parliamentary Private Secretaries. However, unlike the list of special advisers, this list has never been updated. This would not be so bad if such a list existed elsewhere, but it is surprisingly difficult to track down such information. There is no list of PPSs on the otherwise comprehensive Parliamentary website. A phone-call to the House of Commons Information Office elicited a knowing sigh and the suggestion that I could try the political information service, Dod’s. Although Dod’s Parliamentary Companion has not included lists of PPSs since 2006. They also suggested I could try contacting Downing Street. My email to Number 10 is, as yet, unanswered. It is hard to avoid the conclusion that successive governments have deliberately sought to obscure the role and indeed the very existence of the Parliamentary Private Secretaries. The previous government made a welcome initial movement towards greater openness in this respect, but this was short-lived. The government must have a list. Publication would not be difficult and is important for a number of reasons. Openness about government appointments would seem to be an important part of democratic accountability. Transparency in relation to appointments, which is standard in most other fields, is also central for monitoring equality of opportunity. Aside from anything else, it seems anomalous that while the Ministerial Code is publicly available, a list of all those to whom it applies is not. If I hear from Number 10, I’ll let you know. 4 Responses to Who are the Parliamentary Private Secretaries? Pingback: Government transparency and the appointment of Parliamentary Private Secretaries | Who Runs Britain? Pingback: List of Parliamentary Private Secretaries: a reply from No.10 | Who Runs Britain?